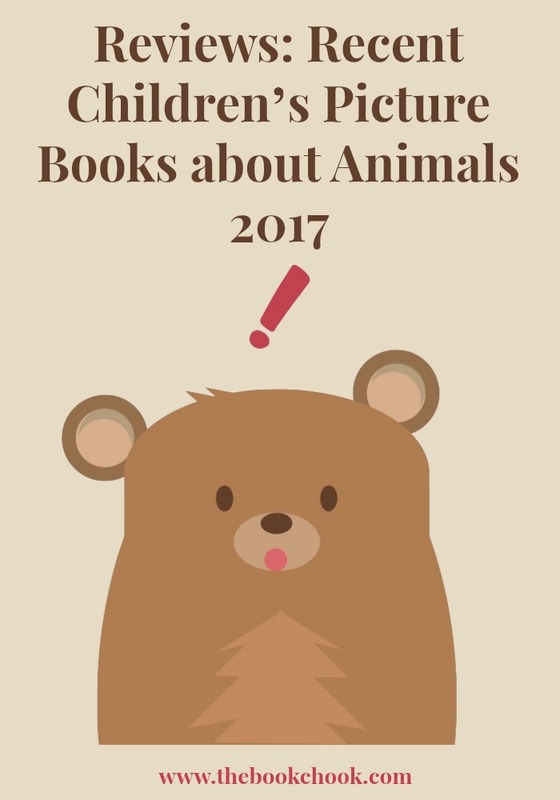 So many great picture books with an animal theme! Let’s dive straight in. The Catawampus Cat is a children’s picture book written by Jason Carter Eaton, illustrated by Gus Gordon and published by Penguin Random House Australia (2017.) RRP: $Au 24.99 HB. When the Catawampus comes to town the people don't at first notice it has arrived. But slowly, slowly, as they take in the cat's aspect, things change; one might say they even become radical! It's amazing what life a-kilter can reveal. Even if kids are too young to understand the word “perspective” and all its implications, I think they will love this story as I did. 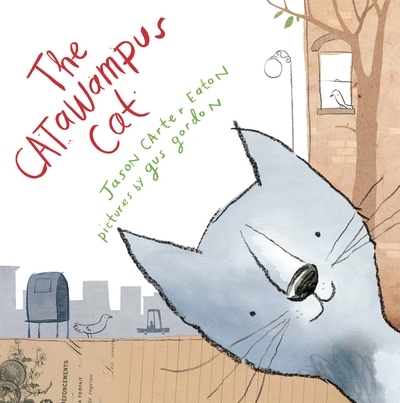 Just by being himself, catawampus and enigmatic, a cat teaches others to look at life differently. The people in the story whole-heartedly embrace difference and celebrate life askew. And then it’s time for the cat to go… As well as an interesting and fittingly enigmatic ending, I loved the word play Eaton includes in the book: Bob Long the barber is giving a woman a long bob; the town daredevil is called Captain Whizzbang; the town librarian is Miss Read. There’s a constant ripple of humour for the reader to enjoy, as well as lots to think about. Gordon was an inspired choice for illustrator of The Catawampus Cat. His front cover has the friendly cat’s head popping into shot from an angle, and behind him an urban street scene. End papers provide a map of the cat’s journey. As the cat proceeds on his way, head askew, we witness its encounter with different people, and Gordon invests those meetings with quirky caricatures. Among the backgrounds kids might spy actual photographs of items and buildings in a collaged effect. Gordon also highlights the changes the Catwampus Cat creates. When Miss Read the librarian is transformed into Miss Read, adventurer, the library background is sketchy, almost indistinct. But then Gordon pops Miss Read into a tiny row boat battling highly textured and coloured waves under a stormy sky. Lots of fun - thought-provoking as well as truly entertaining! Hooray for Birds is a children’s picture book by Lucy Cousins, published by Walker Books (2017.) RRP: $Au 24.99 HB. Hooray for Birds makes a perfect read-aloud! The format of the book is tall and wide to begin with, and Cousins gifts us with large, simple and clear images filled with striking patterns and colours. One by one we meet our feathered friends via snippets of rhyme, and lots of sound and action words. Energetic, brightly coloured illustrations almost fly off the pages as different birds swoop, dive and strut. Kids will share the birds’ enthusiasm, I know, and come back for repeated re-readings. 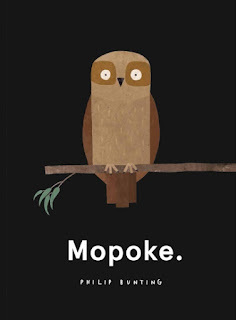 Mopoke is a children’s picture book written and illustrated by Philip Bunting, and published by Scholastic Australia (2017.) RRP: $Au 24.99. Mopoke loves peace and quiet but the bush is full of many, many annoyances. Poor Mopoke is about to find out that you can’t always get what you want. Visually brilliant, and hysterically funny, Philip’s pictures tell a thousand words, with the support of some very sparse, but hilarious, text. This is a book destined to become a classic. Mopokes are Southern Boobook Owls. Apparently they love peace and quiet but like most of us, they realise you can’t always get what you want. Using one or at most a few words to a page, Bunting reveals his mopokes, inviting us to share his obvious joy over playing with words. We meet lots of pokes, including a fee-fi-fo-poke, a moustachioed mo’poke and even a wombat - wait, what’s that doing there? In shades of brown against a striking matte black background, Mopoke will delight from cover to cover. I love good graphic design and it doesn’t come much better than this. With small visual changes, Bunting enhances the humour and drama of his simple tale. How exciting to discuss so many visual literacy elements with kids! Why does the mopoke have puffed feathers in this illustration? How does the mopoke feel? How do we know? What visual clues do we see that help explain this part of the book? Children will adore trying to create their own mopokes, either digitally for older kids, or with coloured paper, or even using paint or pencils. Check out this talented book creator’s website, and feast your eyes on some wonderful graphic design! Old Pig and Granddaughter have lived together for a long, long time. They share everything, including the chores, until the day when Old Pig does not get up as usual for breakfast. Calmly she pays her bills and puts her affairs in order. Then she takes Granddaughter on a last, long walk - looking and listening, smelling and tasting. Old Pig and Granddaughter say goodbye to each other in the best way they know. A tender story of living and loving, giving and receiving; a glorious celebration of the world. Through Grandaughter’s realisations, we too begin to see that something has changed with Old Pig. Granddaughter has known Old Pig can’t live forever, but now she is so tired and has no appetite. They set off together for last looks, listens smells and tastes, and then it’s night and they cuddle together for one last time. Wild has crafted an elegant, timeless story and it’s gently, respectfully brought to life by Brooks’ illustrations. There are classics. And then there are classics you will never forget, classic children’s books that touch hearts and minds to leave them charmed and changed. 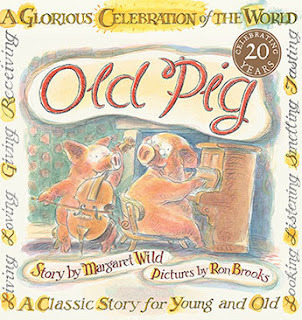 Old Pig has won many awards but more importantly, I believe, has helped children better understand the cycle of life and death, and gain comfort from that understanding. This is a children’s picture book that belongs in every collection. 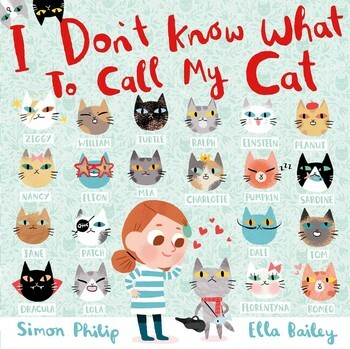 I Don’t Know What to Call My Cat is a children’s picture book by Simon Philip and Ella Bailey, published by Simon and Schuster (2017.) RRP: $Au 16.99 PB. Every cat needs a name. One name, one word, just a sound... It should be easy to choose one, right? WRONG!!! I just don't know what to call my cat! Choosing the right name for a new pet is very important! Find out just what this cat’s name turns out to be in this clever and witty story from an exciting debut author and talented young illustrator. This is such an enjoyable picture book to share with kids! It’s a gem created by two creators whose gifts truly complement each other. Simon tells a deceptively simple and understated story using the voice of a little girl who unexpectedly becomes a cat-owner. All kids know the importance of choosing names for pets, and will immediately want to help. Young readers will also quickly understand that there’s more going on than the young narrator actually sees, and I know they’ll delight in pointing out what they discover. Bailey’s beautifully coloured and detailed illustrations are quirky and full of fun. Here’s an example: When we find out that Kitty is in fact a boy, we do so via Bailey showing us a survey form where the cat has just ticked “boy” rather than “girl”. On the vet’s walls kids will spy animal x-rays, an eye chart especially for cats, a picture of a crocodile sporting braces on his teeth and many other images to ponder over and delight. Some of the visual puns are there for kids - they will love Mr Maestro playing his violin with cat-shaped musical notes - and other just for adults - the record next to the gramophone is “Pür Elise”. Truly a very cute and funny picture book that I recommend to families and libraries everywhere! Mr Postmouse Goes on Holiday is a children’s picture book by Marianne Dubuc, translated by Greet Pauwelijn and published by Book Island (2017.) RRP: $NZ 29.99 HB. 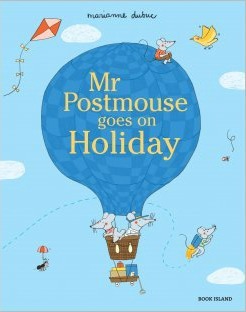 I have previously reviewed Dubuc’s Here Comes Mister Postmouse. What happens when Mr Postmouse goes on holiday? He delivers the post of course! Mr Postmouse and his family are back, and this time they are travelling around the world to see the sights and deliver parcels to all their friends. Experience opera on a cruise ship, toast marshmallows over a volcano, whizz through the air in a hot air balloon, and so much more in this irrestible picture book, the sequel of Here Comes Mr Postmouse. The stand-out feature of Mr Postmouse Goes on Holiday is the same intriguing visual detail we saw in Here Comes Mr Postmouse. The whole family goes off on a vacation, and that includes the three mice children: Pipsqueak, Lulu and Pierrot. We see them visiting Aunt Maisy, and because Dubuc uses cut-aways, we actually see inside Maisy’s caravan in the forest, and inside the tent pitched by the mice children. Each scene has little cameos of the characters engaged in activities and even the cameos have some cutaways e.g. we get to peek inside a sandcastle where Mr Crab lives. Children will turn pages with alacrity, wanting to see where the next adventure will be: a cruise sheep renowned for its opera performances, a volcanic island where Pipsqueak can toast marshmallows, even a safari in the jungle and a balloon ride among the clouds. Short snippets of text provide context and give kids special things to look for in the beautifully coloured pages. A gentle, feel-good book. 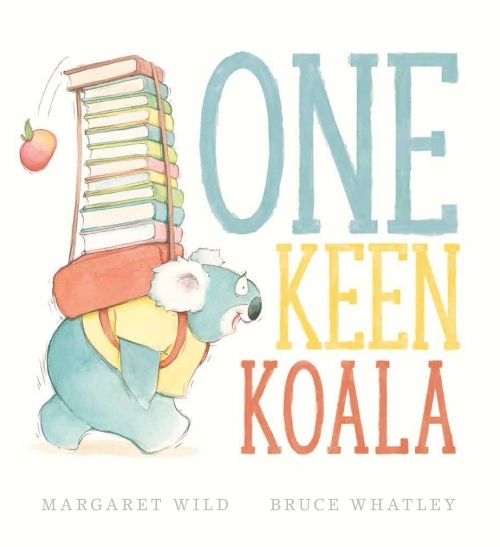 One Keen Koala is a children’s picture book by Margaret Wild and Bruce Whatley, published by Scholastic Press (2017.) RRP: $Au 16.99 HB. One keen koala and all his animal friends are ready for school! 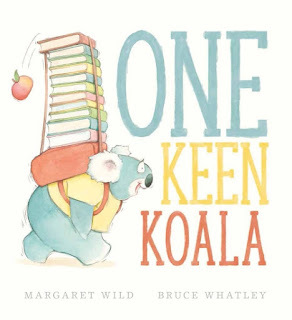 Count along in this beautiful introduction to the fun of school from two of Australia’s favourite award-winning picture book creators. Here's a counting book in bouncy rhythm and rhyme that features Australian animals in all their quirky glory. Kookaburras, koalas, platypus and possums are all off to school and keen to learn their lessons. 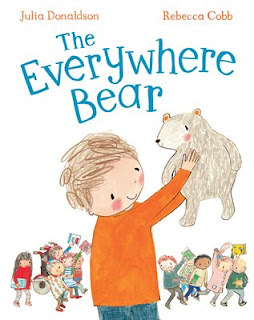 Whatley’s gorgeous illustrations add so much humour to the text - I loved the page where the wombats each hold a letter of the alphabet, spelling out “wobmats”. I also felt such thankfulness not to be next door to the kookaburras’ percussion lesson! 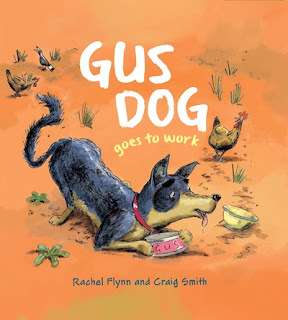 Gus Dog Goes to Work is a children’s picture book by Rachel Flynn and Craig Smith, published by Working Title Press (HarperCollins) (2017.) RRP: $Au 24.99 HB. Every day Gus Dog goes to work in the back of the Ute with his owner, Tom the shearer. But one morning Gus wakes up to find Tom and the Ute gone. So Gus Dog decides to go to work on his own. Gus Dog Goes to Work is the warm and comical story of a not-so-usual day in the life of a sheep dog, by the top author/illustrator team of the best-selling title I Hate Fridays. The team of Flynn and Smith is a great one! You can practically smell the dust, the sheep and the sweat, and feel the heat scorching your skin as Gus tours the town. Flynn immerses us immediately in Gus’s world - we learn what’s important to him and the words he understands. Flynn shows us what it’s like to be a dog, and kids will nod and laugh over things like Gus rolling in something stinky, and rounding up someone else’s sheep. This is a realistic story, with tension, humour and a happy ending. Not only does Gus Dog Goes to Work make an excellent choice for kids who love books about animals, but it’s a beaut resource for your collection of books about Australia. Check out my list of other great resources about Australia. Donaldson obviously knows kids and schools, and gifts us with a jaunty rhyming tale about a teddy bear who goes home with each child in Class One until the day he becomes lost. His adventures continue but he finally makes it back to his school friends who wonder exactly what he got up to. Students would love to have a class bear of their own I’m sure, and could set up a plan on how to go about this using ideas from the book. This picture book makes a GREAT read-aloud, and because of the strong rhyme and rhythm, is also a good choice for beginning readers who will find it easy to memorise. Cobb’s illustrations are clear and colourful, helping kids understand each bear adventure. I recommend The Everywhere Bear to schools and to homes that understand how important teddy bears really are. 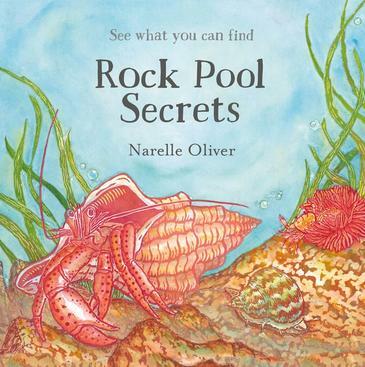 Rock Pool Secrets by Narelle Oliver, published by Walker Books (2017.) RRP: $Au 24.99 HB. Oliver was such a brilliant picture book creator. Books like Sand Swimmers deserve a place in any library: home, school or community. As does Rock Pool Secrets. At first glance there’s nothing much to see. But the rock pools are full of secrets. Nestling in crevices ... hiding in the seaweed ... camouflaged against the rocks ... What creatures will you find? Rock Pool Secrets features beautiful linocut artwork by award-winning author/illustrator Narelle Oliver and includes big, easy-to-use flaps and a glossary of rock pool creatures. Lift the flap books are perennial favourites with kids. They love that element of suspense, and then surprise when something hidden is uncovered. Children are also drawn to books where things must be located. Oliver cleverly uses this book concept to invite kids to explore a real-life place where things are not always as they seem and where creatures hide: a rock pool. We meet colourful crabs, tiny shrimp, sea slugs, goby fish and turban snails, and there’s a glossary at the back of the book to tell us a little more about them. It’s great to find nonfiction books that are also very engaging for young readers, and invite them to play. Oliver combines this with her trademark beautiful art work. Kids get to learn, have fun and explore the beauty of art and nature - Rock Pool Secrets is a must-have. Antoinette by Kelly DiPucchio, illustrated by Christian Robinson, published by Simon and Schuster (2017.) RRP: $Au 24.99 HB. 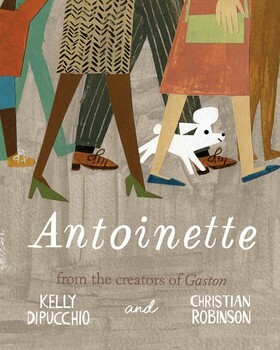 I have previously reviewed DiPucchio and Robinson’s Gaston. In fact, Gaston was also one of my Top Children’s Picture Books for 2015. With three clever, physically talented and robust brothers, is it any wonder Antoinette is not too sure she is special too? Her lovely mother says, “You have something extra special. I can feel it in my bones!” And then one day Antoinette finds not only her special skill, but also her inner strength and resourcefulness. The story is woven with humour, clever writing and gorgeous art work. I loved catching up with the characters from Gaston - Fifi, Foo-Foo, Ooh-La-La and Gaston in one family, and Rocky, Ricky, Bruno and Antoinette in the other. I also loved the underlying message about finding your special something. Children often compare themselves to others, and wish to be like them. It’s important to encourage kids to understand we are all special, just not all exactly the same. Do seek out Antoinette for your homes and libraries. It makes an enchanting read-aloud and a wonderful book to share. 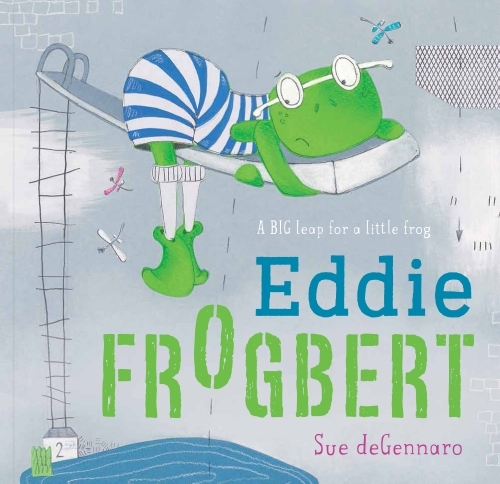 Eddie Frogbert by Sue deGennaro, published by Scholastic Australia (2017.) RRP: $Au 24.99 HB. Eddie Frogbert was the pride and joy of his family. He wasn’t like the other frogs. He was not the biggest or the bravest. With his feet firmly on the ground, Eddie left the hippity-hop to the other frogs. If you’re looking for a book that helps kids cope with things that daunt them, check out Eddie Frogbert. I really liked the way we see Eddie’s fear, his first attempt and apparent failure. And then we see Eddie work out a plan. He sets himself goals that gradually increase in difficulty. So often we show kids they are not alone in being afraid of something, but don’t always suggest a realistic strategy for doing something about it. DeGennaro’s lesson isn’t heavy-handed, but it’s there for those who pick it up. Her illustrations are very cute, and the limited palette really enhances all that frogginess. Go, Green Gecko by Gay Hay and Margaret Tolland, published by Starfish Bay Children’s Books (2017.) RRP: $Au 26.99 HB. 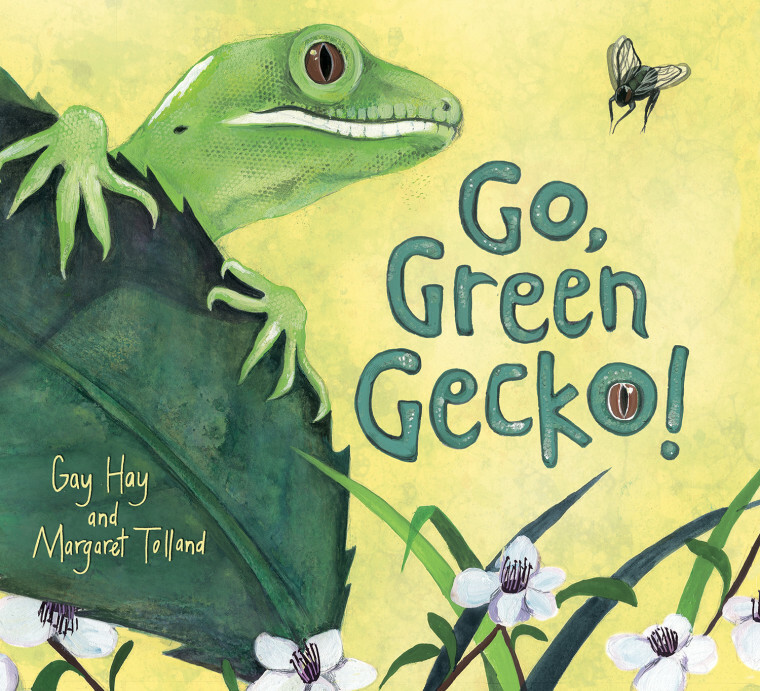 This book follows a curious green gecko as it scavenges for food, facing other predators as it explores the bush. It also includes factual information about green geckos, their behaviour, and their life cycle—a great learning tool for children! The different textures on the illustrations capture the cheeky character of the gecko and the rich life of the native bush. This book is easy to read aloud with great vocabulary and rhythm, and can easily be acted out during story time. It also includes lots of interesting factual information fascinating for children and a useful teacher resource. It’s great to find such an exciting and fact-based picture book for children! The author and illustrator really pull the reader into a green gecko’s world. We witness the foraging, the sun-soaking, the dew-drinking and the constant, constant looking for danger. When danger arrives on a foldout page, it’s a truly tense and dramatic moment, and we see the green gecko’s immediate reaction. Then there’s a gorgeous double-page spread showing gecko’s racing journey back home. The end of the book has a double page of fascinating facts. I love the idea of turning this text into a performance or piece of reader’s theatre, and it makes an excellent choice for families or schools wanting to supplement their non-fiction resources. Watch Out, Snail! 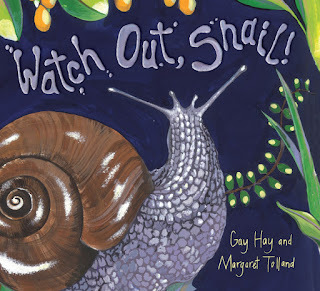 by Gay Hay and Margaret Tolland, published by Starfish Bay Children’s Books (2017.) RRP: $Au 29.99 HB. 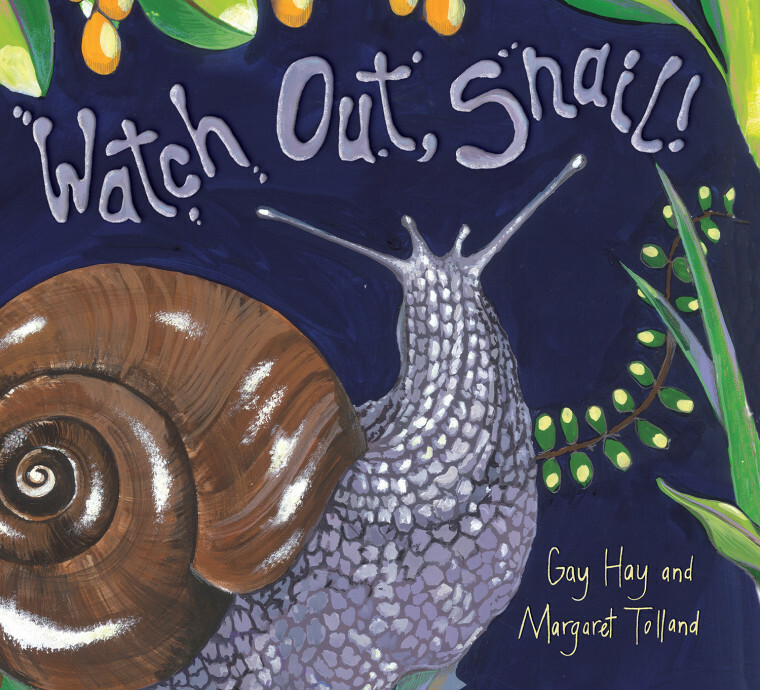 This gorgeously illustrated picture book showcases the beautiful native Powelliphanta snail on its perilous nighttime hunt. It explores the forest during the night while facing dangers along the way. A little-known New Zealand creature, the Powelliphanta is not at all like your average garden snail. It is huge, handsome, and carnivorous! This story teaches children about the circle of life within nature. With great illustrations and creative, short and descriptive language, this book will appeal to both children and adults. A carnivorous snail? Well, I know plenty of kids who will be excited to discover there IS such a creature! Like Go, Green Gecko above, this informational text is written in a most evocative way. Also set in New Zealand, it makes a great model for children in any country to use for their own writing. Hay really demonstrates the dual role of being both hunter and hunted, and Tolland’s illustrations are realistic yet dramatic. The snail itself has a specially shiny shell which kids can run their fingers over, giving them another layer to the sensory experience of reading or sharing this children’s picture book. 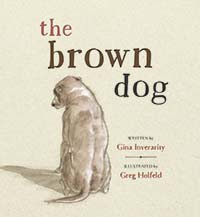 The Brown Dog by Gina Inverarity and Greg Holfeld, published by Working Title Press (2017.) RRP: $Au 24.99 HB. The brown dog often visits Henry on rainy, grey afternoons. Usually he doesn’t hang around for long. But this time the brown dog decides to stay, and Henry needs to find a way to make him leave. perfect platform for young readers to think and talk about their feelings. If you’re looking for a picture book to share with older kids, consider The Brown Dog. While it will probably work for younger kids on a more shallow level, older students will understand the dog is a metaphor and that there are times in people’s lives when it is hard to shake off depression - when the brown dog comes to stay and just won’t leave. Henry is so dragged down by melancholy, he can’t enter his usual pursuits and even feels like he’s looking through the wrong end of a telescope. Luckily, Grandpa comes to visit and this is the catalyst for Henry to let the brown dog go. The writing is understated, almost ambiguous, and will encourage lots of thoughtful discussions. There’s a real sense of immediacy in Holfeld’s detailed drawings and their soft colours contribute to the book’s overall mood of gentle reflection. 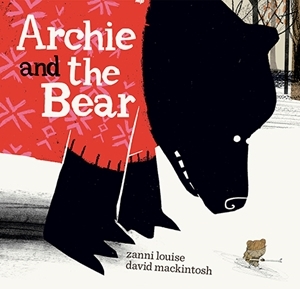 Archie and the Bear by Zanni Louise, illustrated by David Mackintosh, published by LittleHare/HGE (2017.) RRP: $Au 24.99 HB. Archie has something to say, but no one is listening. So Archie leaves home … and discovers someone else with something to say. And because they both know how that feels, they both listen. This is a quirky story about being who you are (even when you’re not), by Zanni Louise and with illustrations by the inimitably wonderful David Mackintosh. Are you looking for an unusual children’s picture book? Try this one! It’s rough when you KNOW you’re a bear but everyone else thinks you’re a boy in a bear suit. When Archie meets a bear in a boy suit, a bear who in his heart of hearts knows he is a boy, there’s obviously going to be some fellow-feeling in evidence. We witness a dawning friendship as the two realise their shared interests, and we too bask in the warmth and comfort friendship brings. Mackintosh’s illustrations are striking, very different each from the other, and multi-layered. Kids are going to want to examine them closely. I hope they’ll notice the interesting perspectives, and what they make us notice and think about. 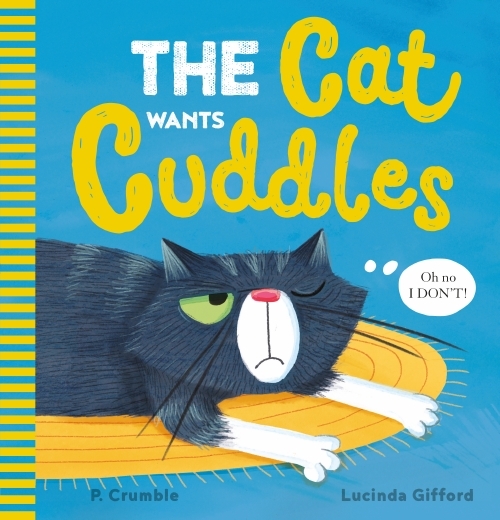 The Cat Wants Cuddles by P. Crumble and Lucinda Gifford, published by Scholastic Australia (2017.) RRP: $Au 16.99 HB. Kevin doesn’t want a pat. He doesn’t want a tickle. And he definitely does NOT want a cuddle. There’s absolutely no way this hilarious cat is going to change his mind about that. Or will he? There is just something about a cat with attitude, isn’t there? Kevin is the quintessential cat - each time his “owner” speaks, we read his thoughts and they are not complementary. “Come and have a lovely cuddle!” results in “Come closer and you’ll get a lovely bite.” There’s so much humour in the subtext, multiplied again by the quirky hilarity of Gifford’s illustrations. This one’s perfect to share with pre-school kids, and all those who think they own a cat. Koala is a children’s picture book by Claire Saxby and Julie Vivas, published by Walker Books (2017.) RRP: $Au 24.99 HB. It is time for Little Koala to leave the protection of his mother. But many challenges and dangers lie ahead for him as he searches for his own home eucalypt and learns to be independent. During his search he encounters other territorial koalas, wanders through a bushfire-ravaged landscape and endures a night of storms. 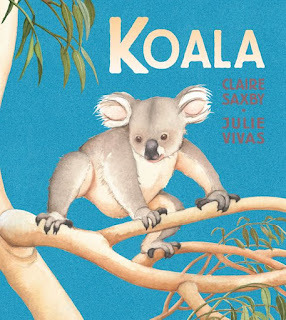 Vivas contributes to the drama with beautiful watercolour illustrations that will help young readers appreciate the dangers and delights of being one of our favourite Australian marsupials. Recommended to schools in particular, but also to any home or public library where good non-fiction is prized. Charlie Chick Wants to Play is a children’s board book by Nick Denchfield and Ant Parker, published by Campbell Books/Pan Macmillan (2017.) RRP: $Au 14.99. Charlie Chick Wants to Play but he can't find his ball. Can you help him find it? Lift the flaps to see if it's in the pig sty, the kennel, the reeds or the hen house in this delightful book about friendship, farm animals and fun! With delightful illustrations by Ant Parker, this sweet, funny story is an ideal way to learn about first animals and their homes. This is a sturdy board book that also has flaps for kids to lift. 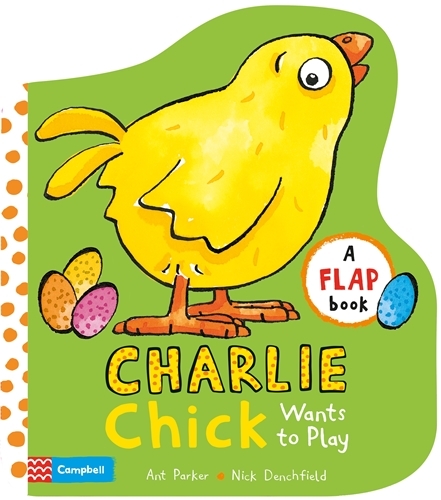 Charlie Chick is a cute character that interacts with other animals with alliterative names. The flaps might be tricky for youngsters at the target age for a board book, but I believe kids need to learn from an early age how to care for books - or this might be one to put away and then control in a library situation. There’s a lovely textural cover where kids can run their fingers over Charlie and his title, but there does seem to be more text than usual for a board book. Charlie is a little chick who has found a BIG egg! What could be inside? He gives it a little tap with his beak. What happens next? Open the pops and unfold the giant flap to find out in this cracking adventure story! Here's another adventure about Charlie Chick. While I might not recommend a pop-up book for regular school or local library use, I think all home collections should have some. 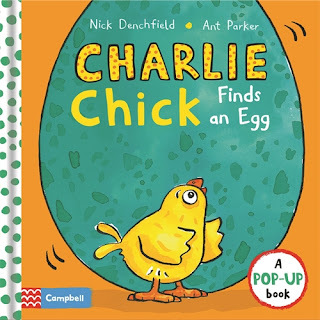 The paper engineering in Charlie Chick Finds an Egg is excellent, particularly the page where two beady eyes are peering from a cracked egg shell. Denchfield’s story is short as befits such a tale, and Parker’s illustrations are truly delightful. Kids will love the BIG surprise at the end! Dinosaur Roar! 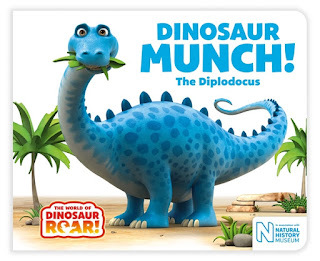 The Tyrannosaurus Rex , Dinosaur Munch! The Diplodocus and Dinosaur Boo! 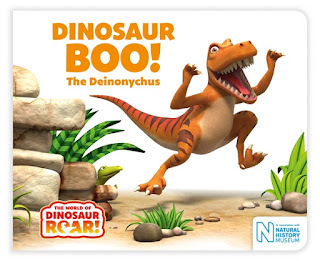 The Deinonychus are board books too, brand new editions based on the classic picture book, Dinosaur Roar! originally published in 1994 and created by Paul and Henrietta Stickland. These spin-off stories were written by Jeannie Willis, and published by Macmillan Children’s Books (2017.) RRP: $Au 14.99. The fun, rhyming text and bright quirky illustrations make these books that some kids will grab off the library shelves. Although they are not non-fiction, they do include simple dinosaur facts. For those dads who are not comfortable with children’s picture books, I think these books might make a good choice for them to read aloud to their kids: they look a lot like TV cartoons, and are dinosaur-themed. 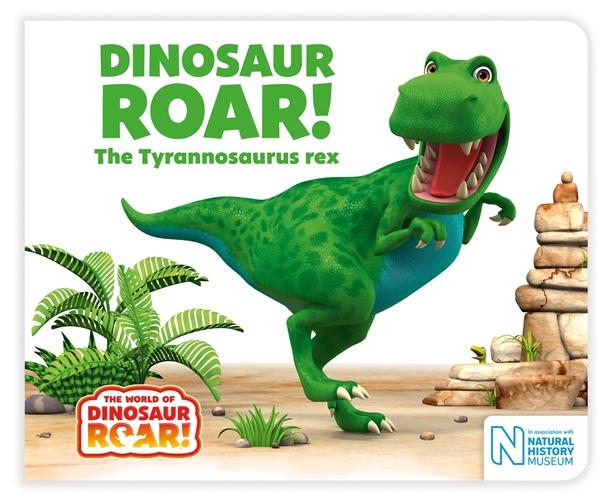 The sturdiness of the board book format should guarantee they stand up to lots of reading!